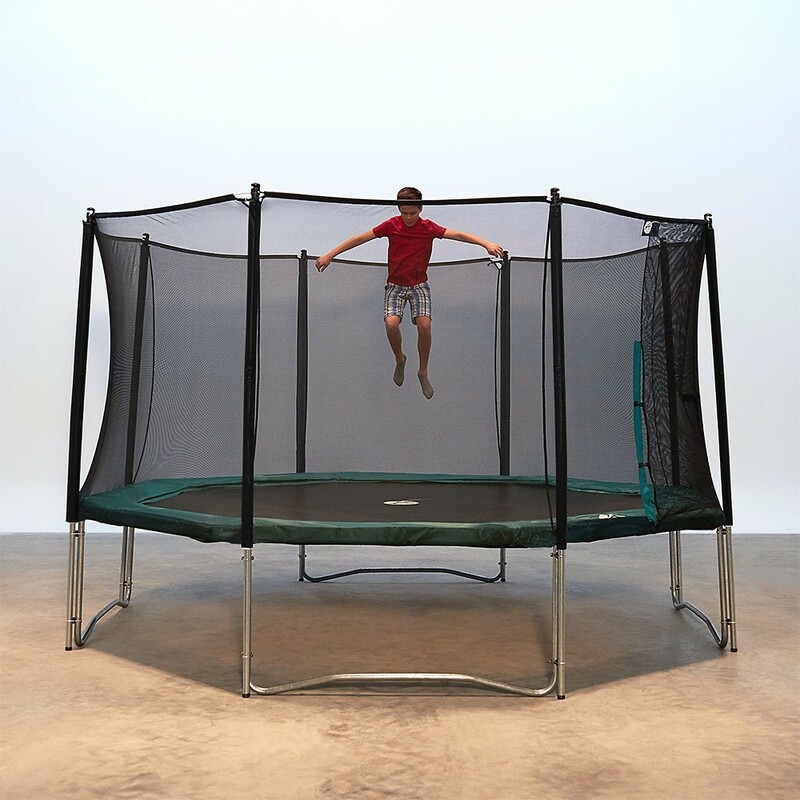 This large octagonal trampoline will delight athletic families seeking thrills and performance. 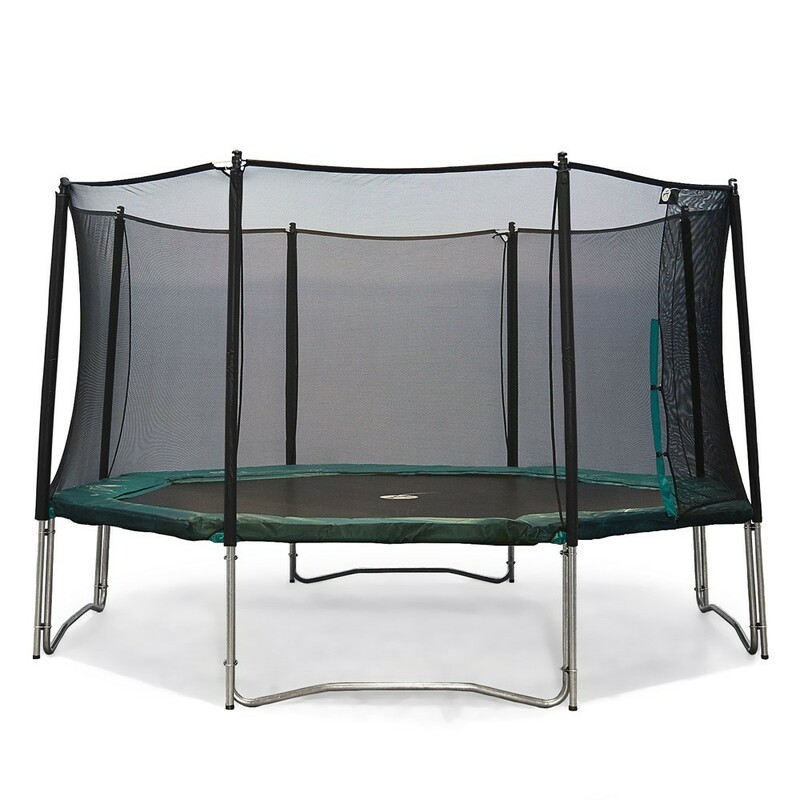 Its generous size will win over the whole family, who will appreciate its superior bouncing qualities. 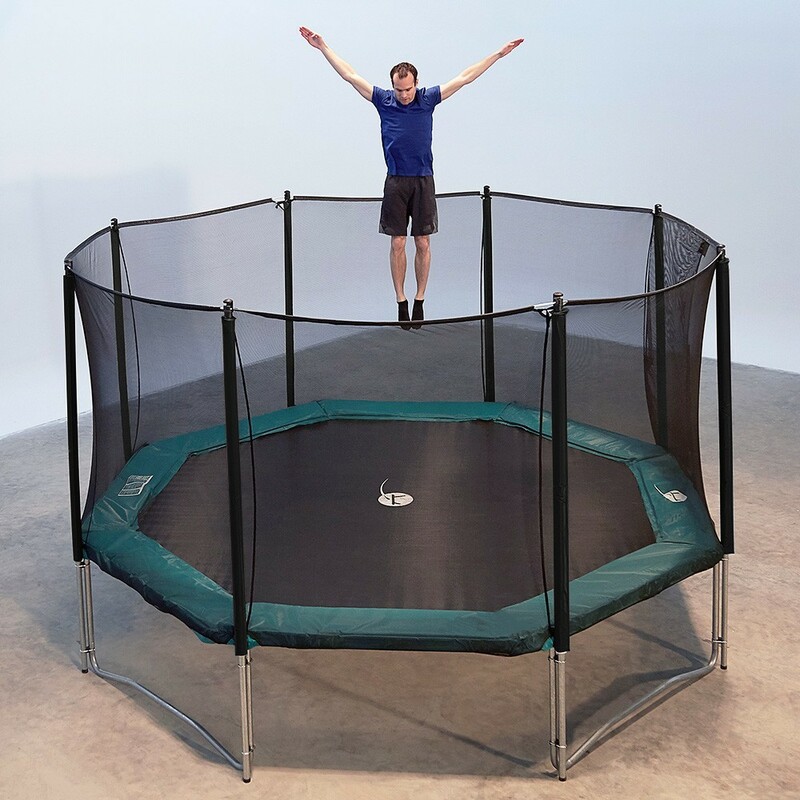 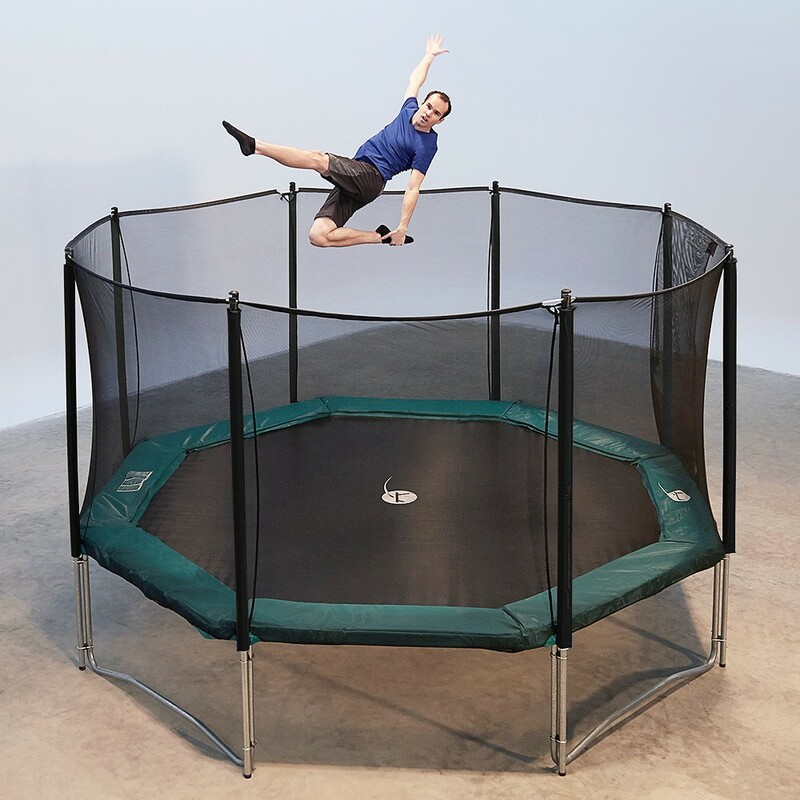 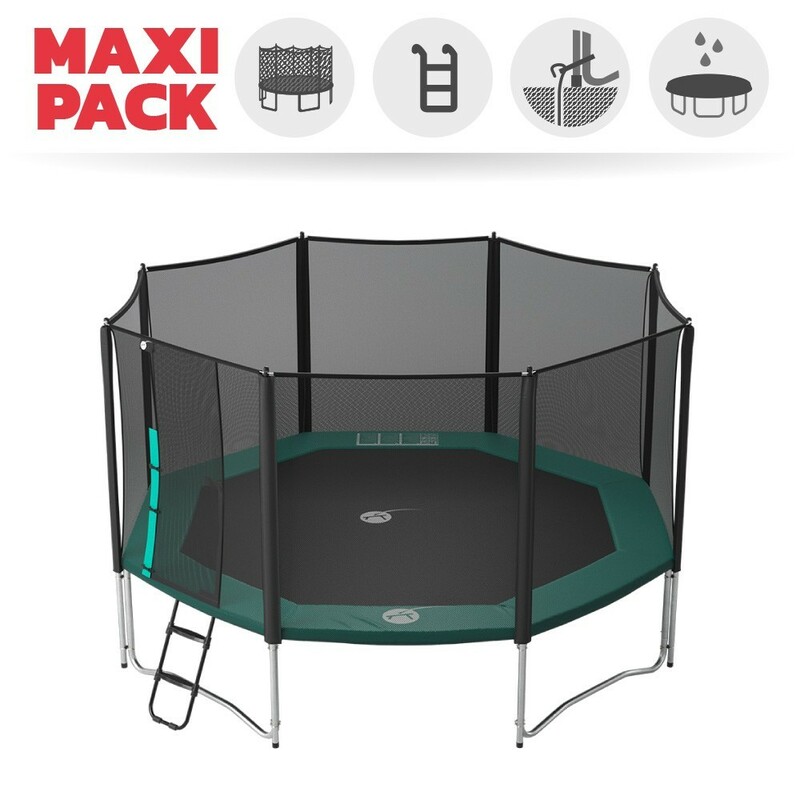 - The outdoor trampoline's octagonal frame allows users to perform jumps and figures in sequence; unlike round trampolines, jumpers are not re-centered automatically in the center of the mat. 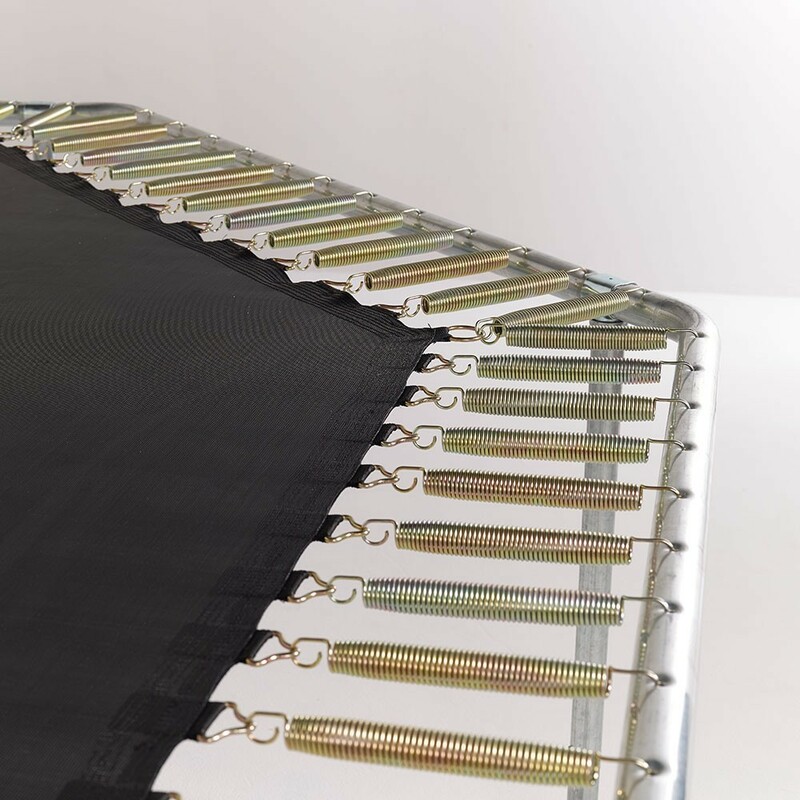 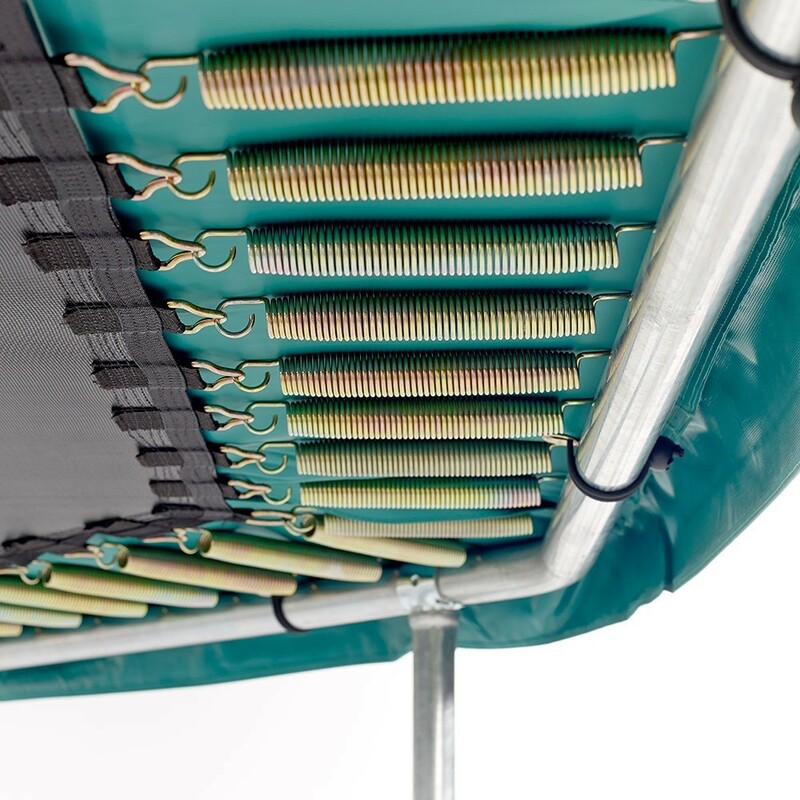 - The trampoline jumping mat is bordered by 112 springs measuring 230 mm, placed across from one another to enable dynamic jumps. 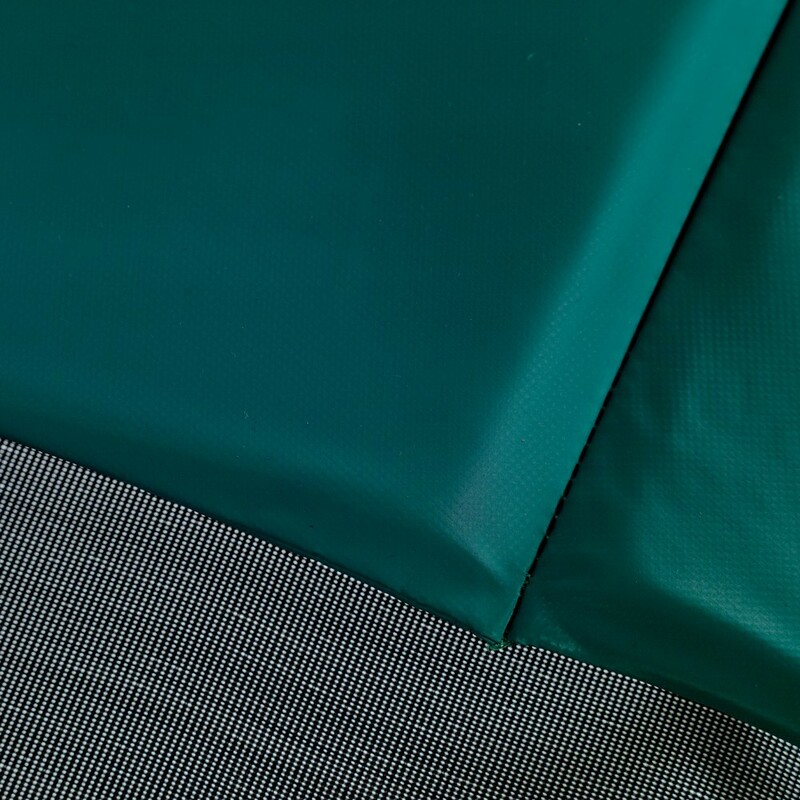 Around the edges of the mat are 8 rows of stitches and a reinforced strip to prevent the mat from tearing and stretching. 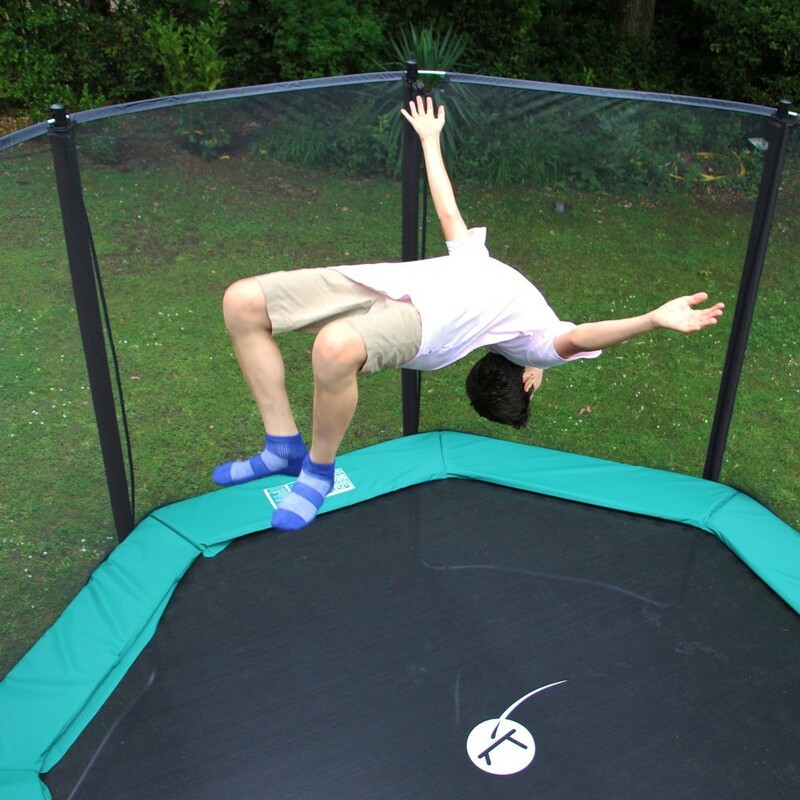 - A premium safety enclosure surrounds the trampoline. 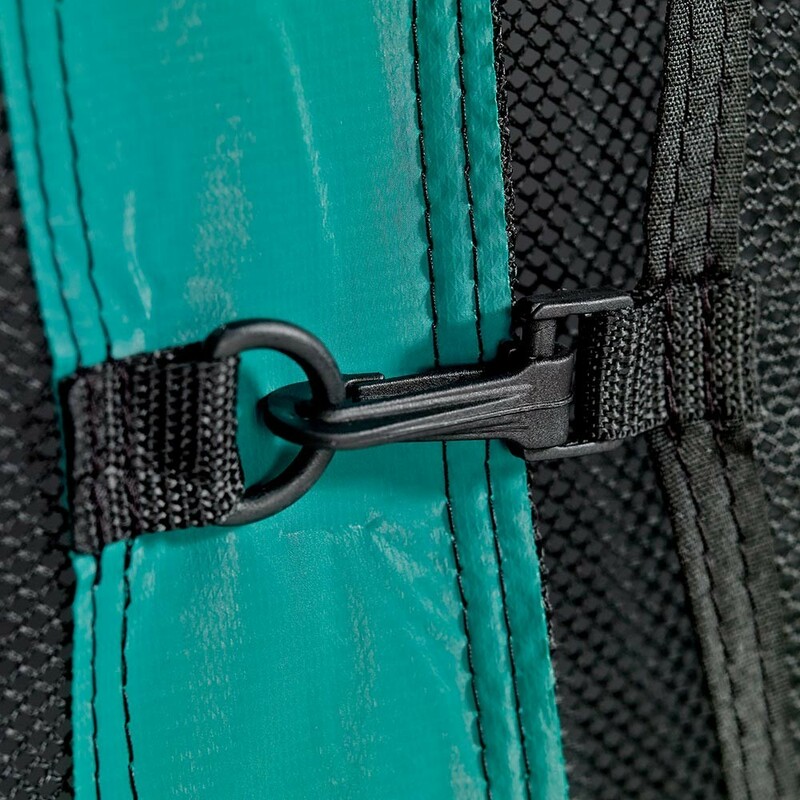 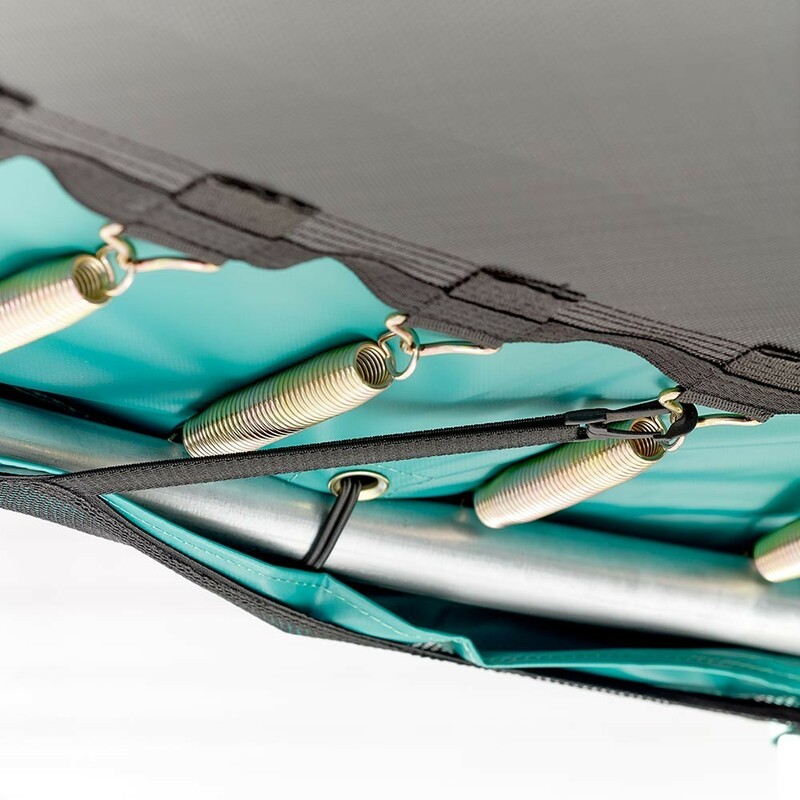 The entrance to the jumping mat is comprised of two overlapping net panels that close with velcro straps and clip hooks. 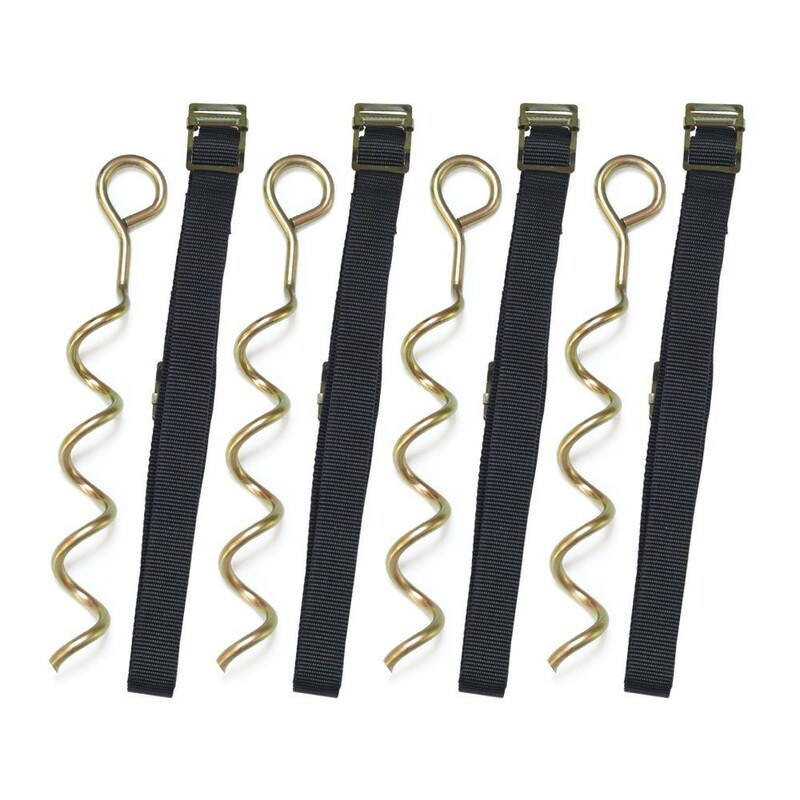 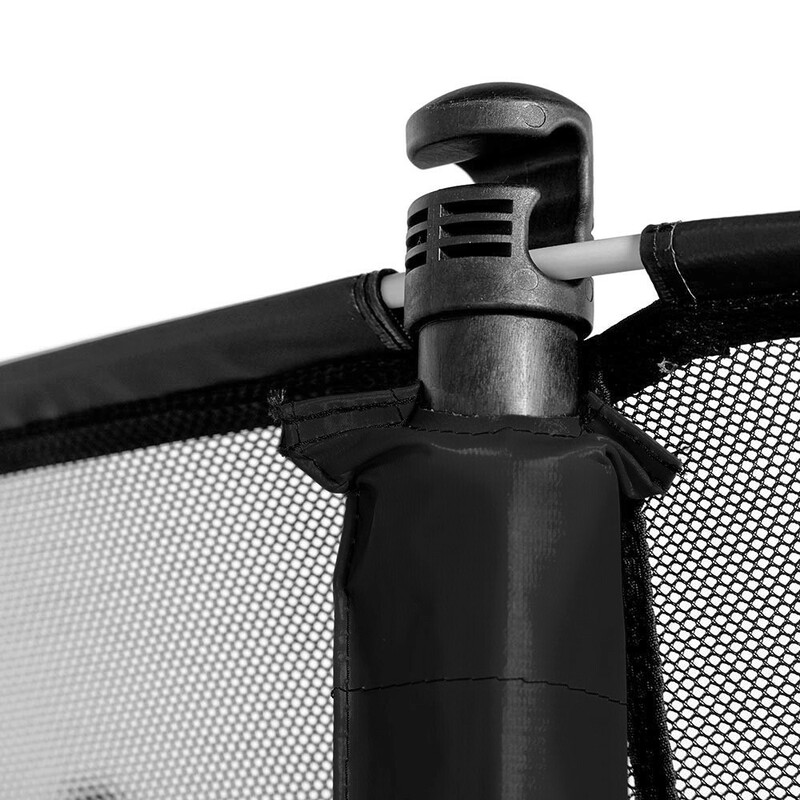 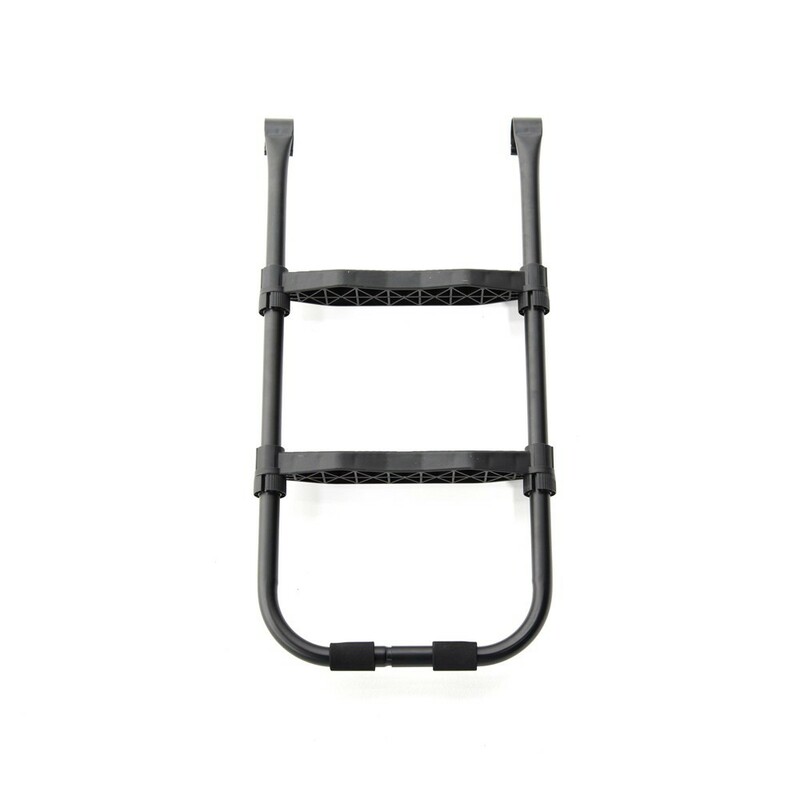 - The frame pad, made of a high-density monobloc piece of foam covered in a PVC canvas, completely covers the springs to protect jumpers from injuries. 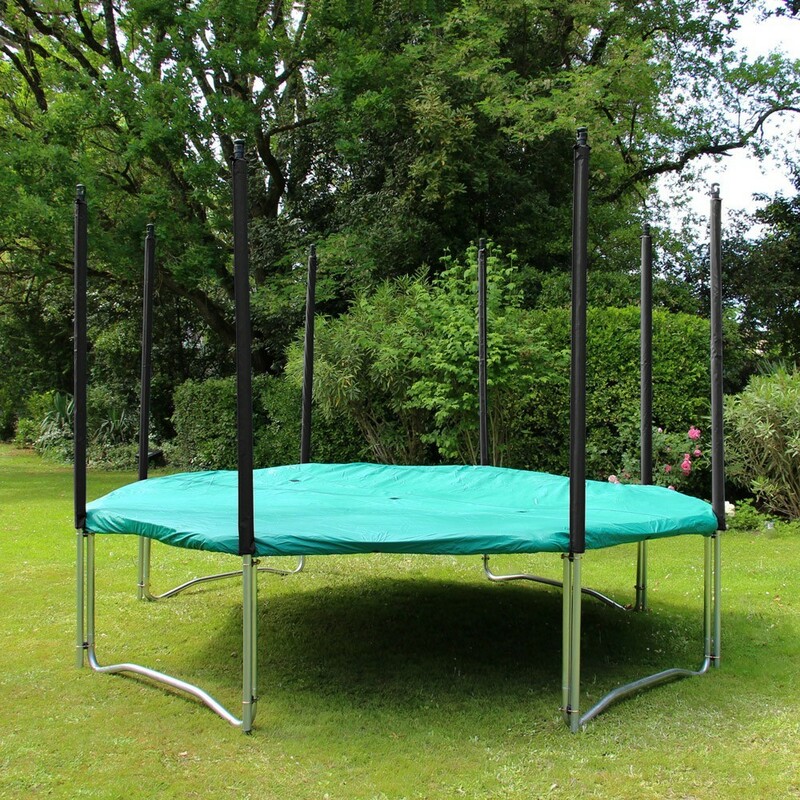 - The step-ladder will allow the younger users to safely reach the 89-cm high jumping mat. 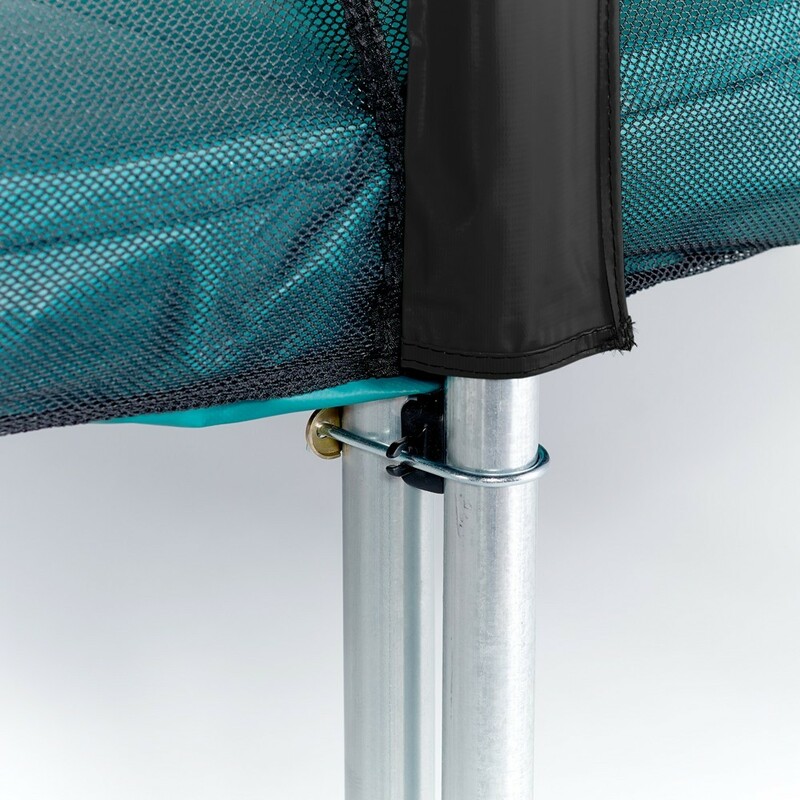 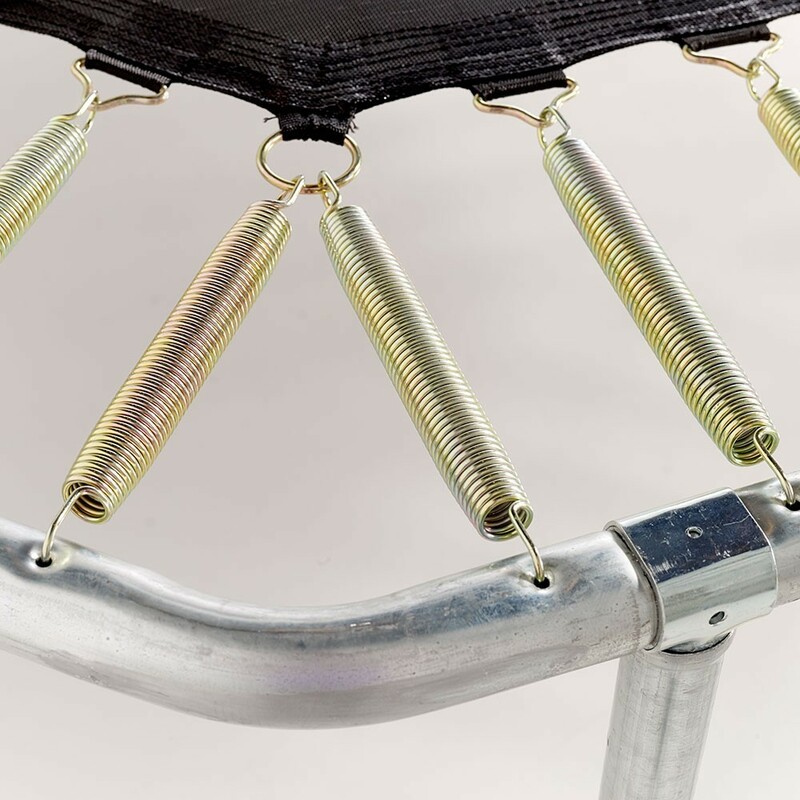 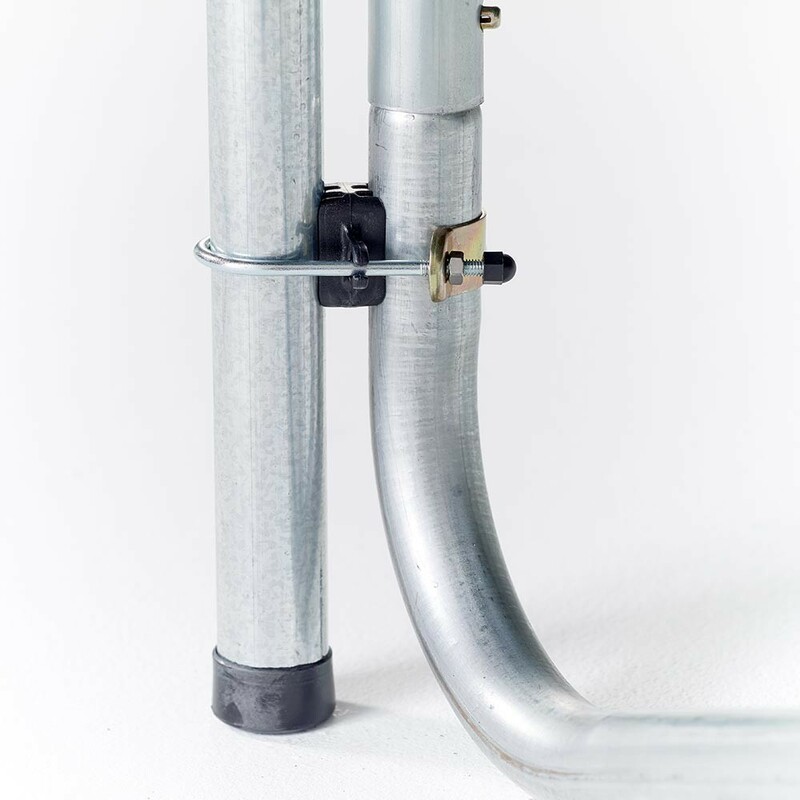 -The anchoring kit will allow you to anchor the trampoline to the ground, which is indispensable to your equipment if you live in a windy area. 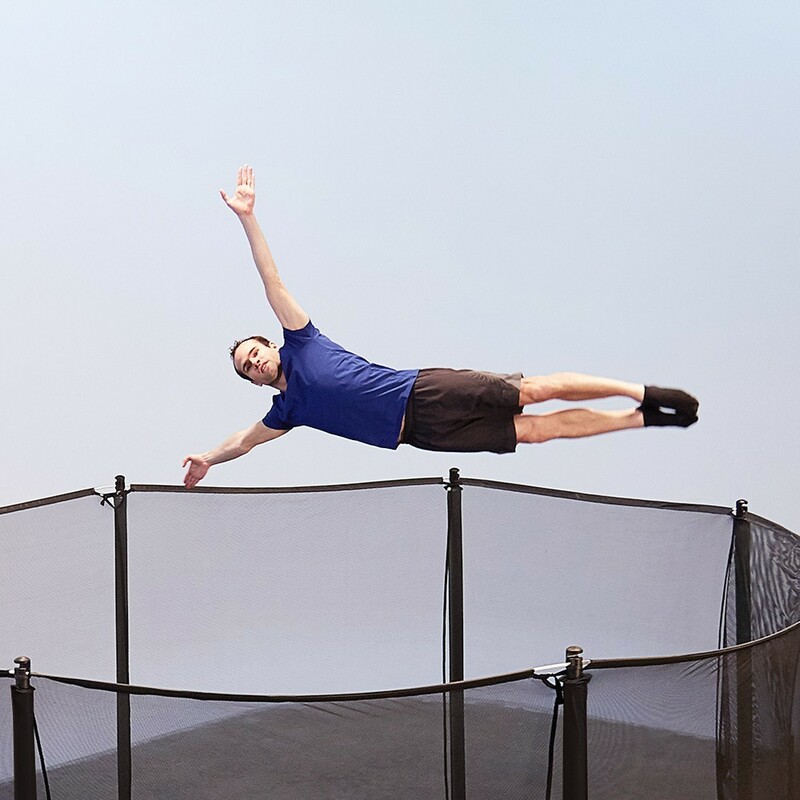 - Finally, the premium protective cover will keep your trampoline clean when not in use. 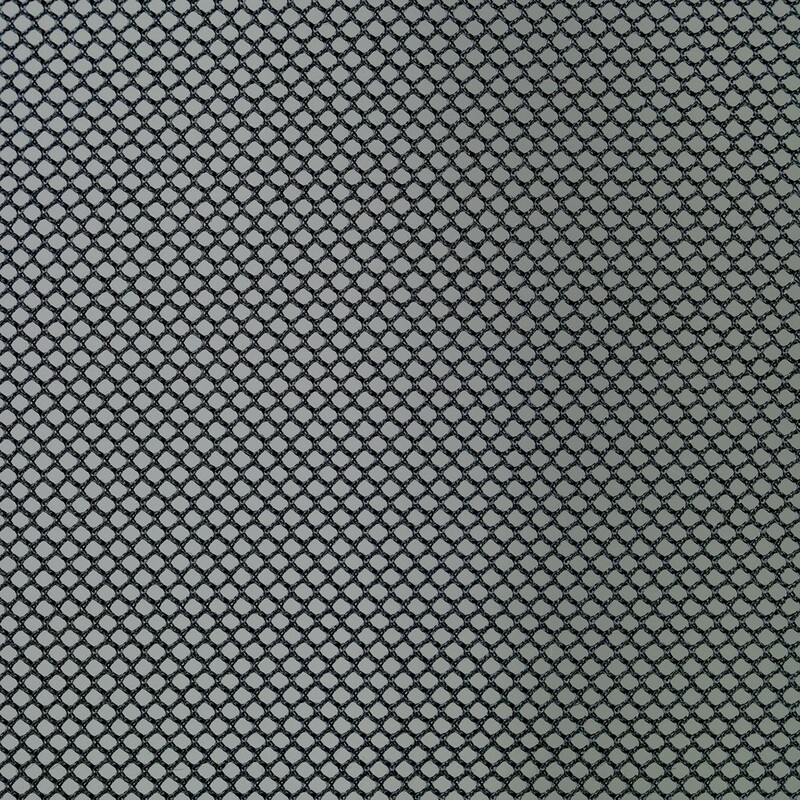 3 drainage points are featured on this PVC canvas.